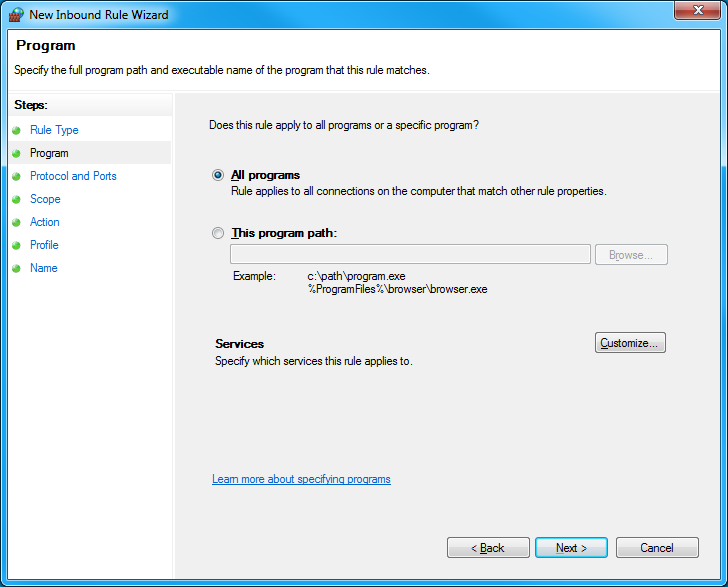 What is the Kubos Windows Development Environment? 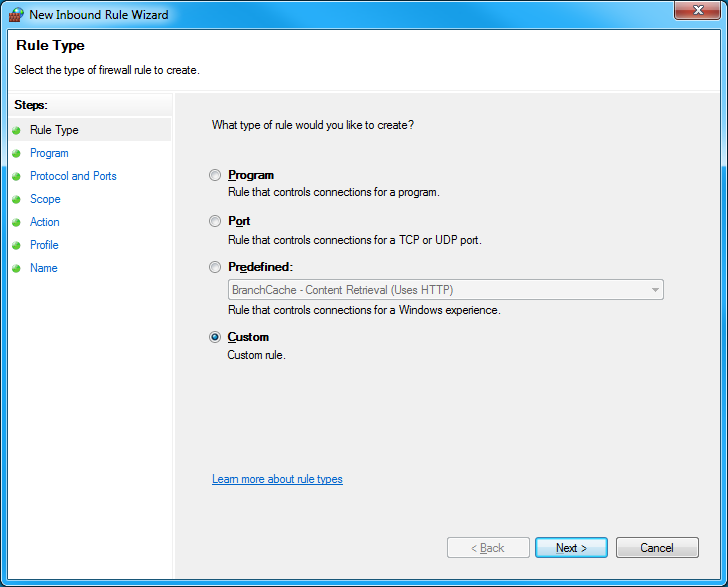 The Kubos Windows Development Environment is a way to edit files on the SDK through an IDE. Since Windows does not support symlinks, editing the files can be a pain, as they are only accessible to tools within the SDK such as vim or nano. This guide walks through a single method to edit those files through an IDE on the host machine, rather than through these command line tools. Before proceeding, please make sure you have installed the SDK. The environment is set up to treat the SDK like a remote machine, and uses an automatic FTP plug-in to allow the user to view and edit files on the SDK as if they were being edited locally. 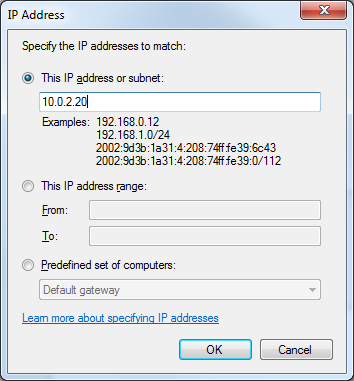 This same method can be used with many common IDEs that have FTP packages for working on remote servers. Install Notepad++ here. Unless you know what you’re doing and want to use something else, choose the first option of the installer: “Notepad++ Installer 32-bit x86”. Choose all the default options in the installer (unless, as it states, you know what you’re doing). Install the NppFTP plugin using the Plugin Manager. Under “Available”, find “NppFTP”. Click the box next to it to select it, then select “Install”. It might prompt you to update the Plugin Manager before installing. I would recommend doing this once. It will require a restart of Notepad++, and you will have to repeat all the steps. If it prompts again after the first time, select “No” and it should install normally. After Notepad++ has restarted, you should now see “NppFTP” as one of the options under “Plugins”. Record the SSH address (127.0.0.1:2222) and the SSH username (vagrant). If the VM is already up, you can also issue vagrant ssh-config to get the hostname and port info. If you update your Vagrant box, this information could change. Go to “Plugins” -> “NppFTP” -> “Show NppFTP Window”. This should bring up the NppFTP windown on the right side. Select “Add New” in the bottom left, and name it “Kubos SDK”. Connect to the Vagrant box by selecting “(Dis)Connect” -> “Kubos SDK”. This should automatically pull up the file system of the Vagrant with the /home/vagrant directory open. It should say “NppFTP - Connected to Kubos SDK” at the top of the NppFTP window. Now you can open and edit files! Double clicking on a file in the file tree will open it locally. If you make changes to any file, it will automatically tranfer the file over and replace it on the host machine whenever you hit save. 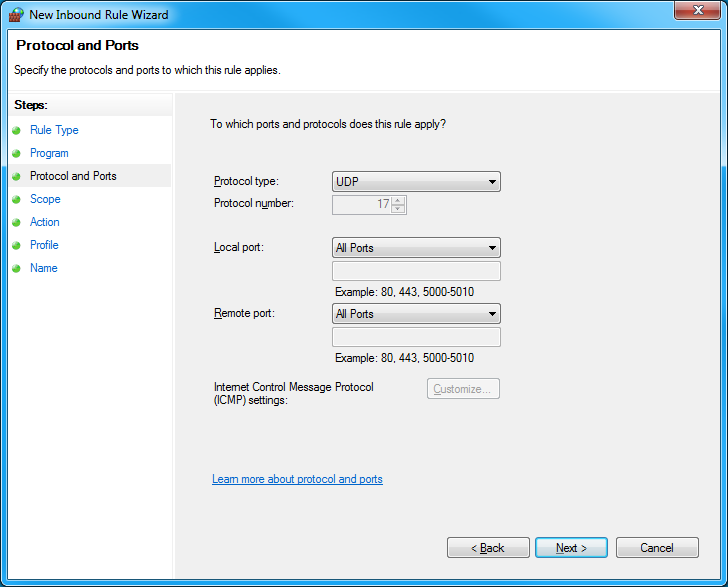 There are certain scenarios where the SDK needs to be able to receive UDP packets from an OBC when connected via a local ethernet port. For example, when using the file transfer client. 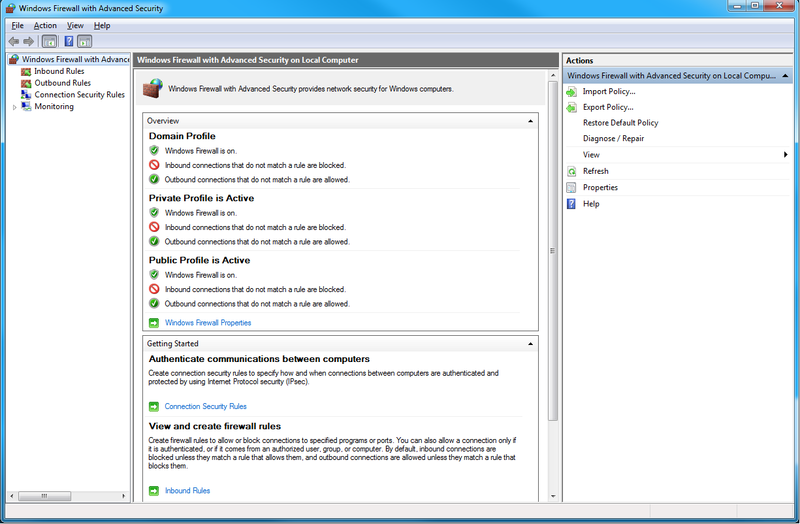 In this case, Windows Firewall may need to be updated to allow this traffic. 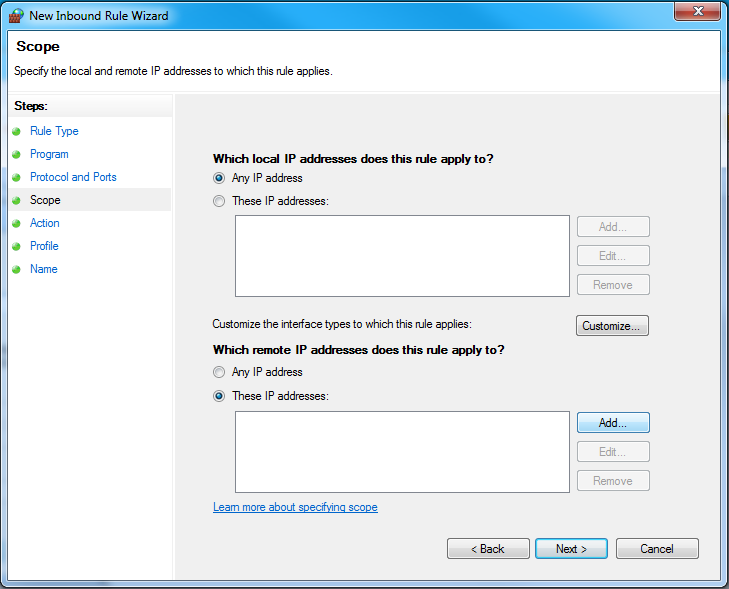 Click on “Inbound Rules”, then scroll down to the “VBoxHeadless” rules. 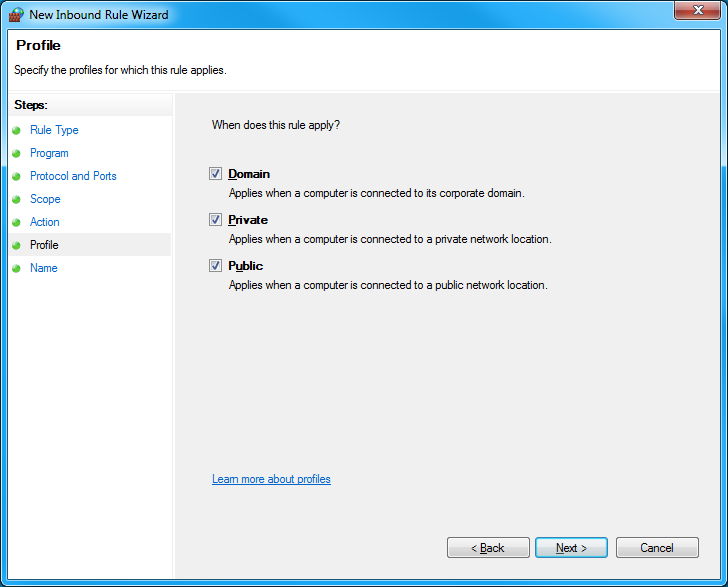 Find the rule which blocks UDP traffic on Public networks. In the “Name” field, enter something descriptive for the rule. 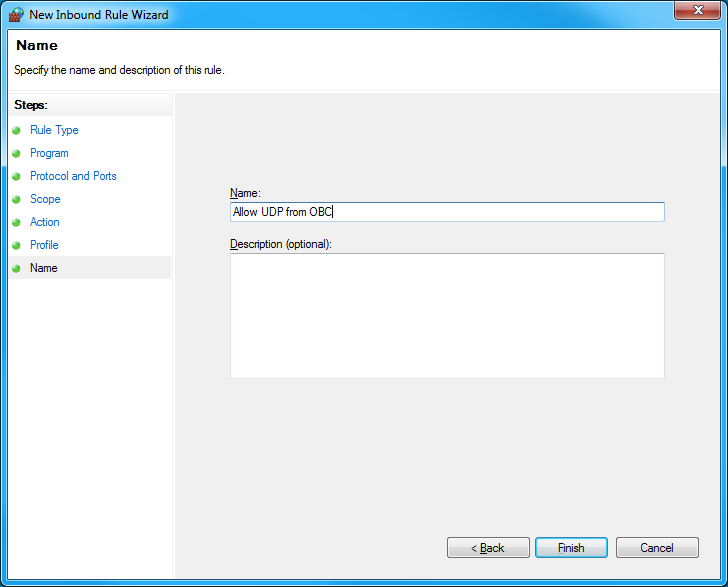 For example, “Allow UDP from OBC”. 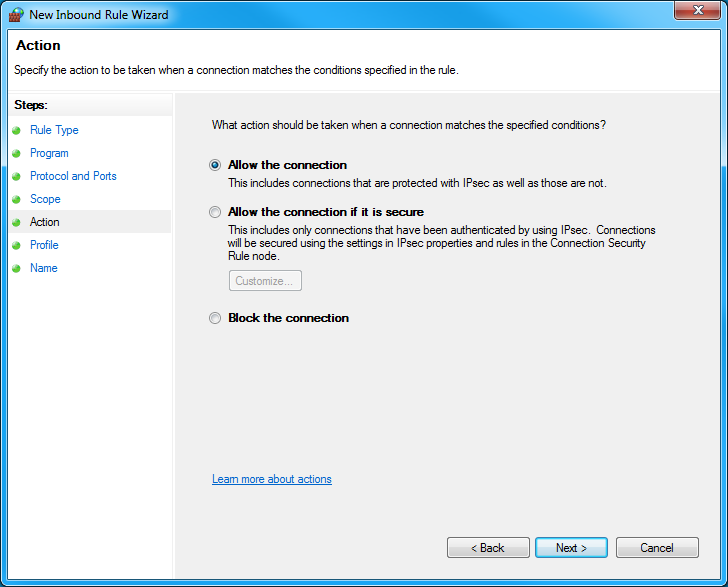 Then click “Finish” to finalize and activate the new rule.